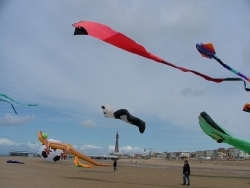 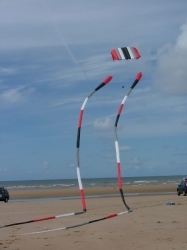 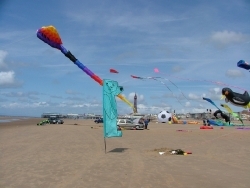 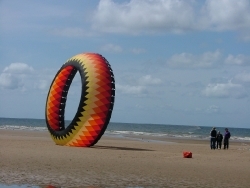 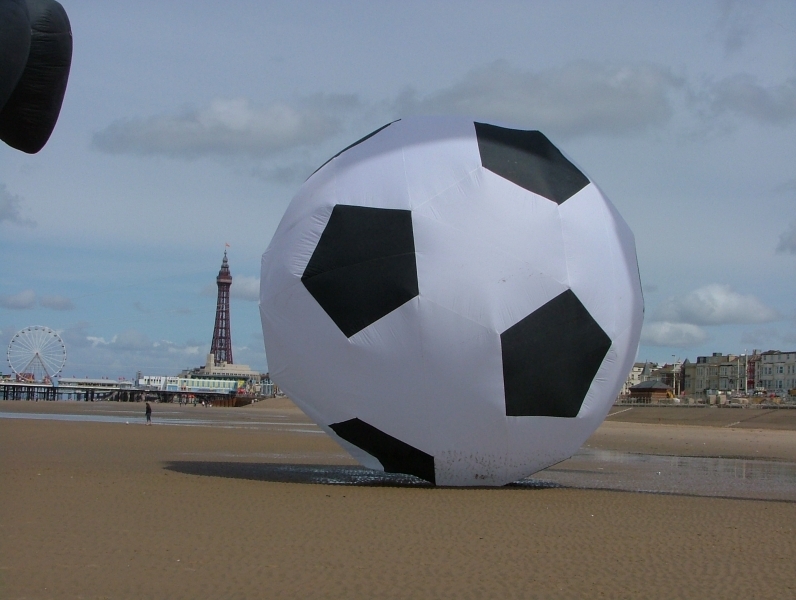 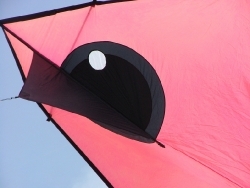 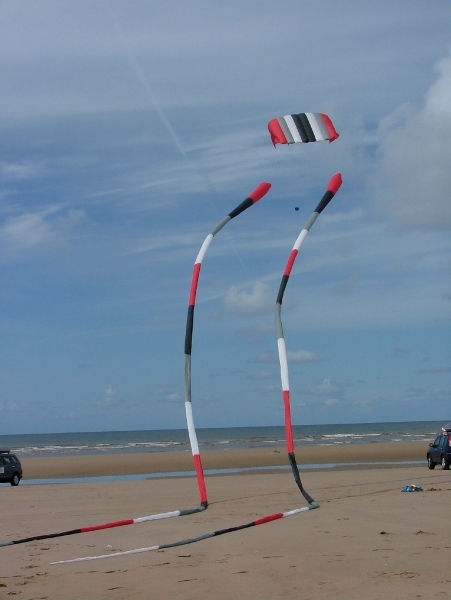 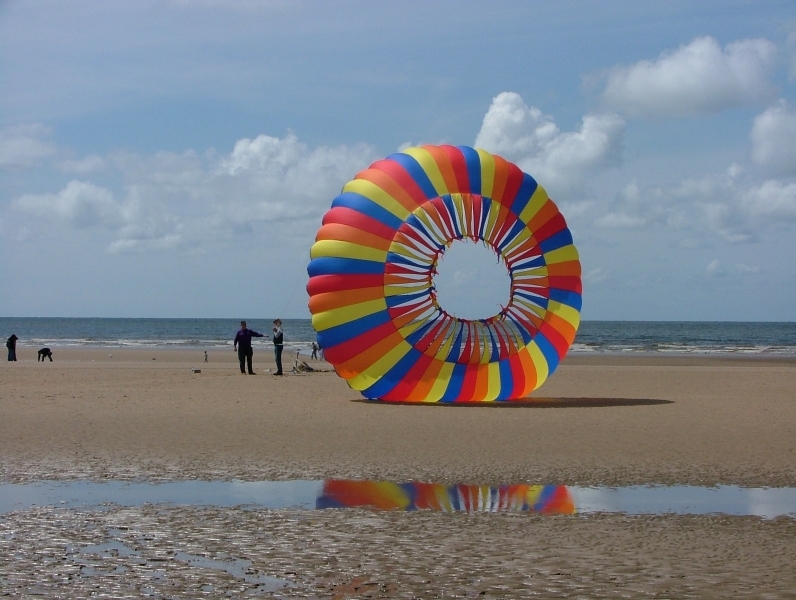 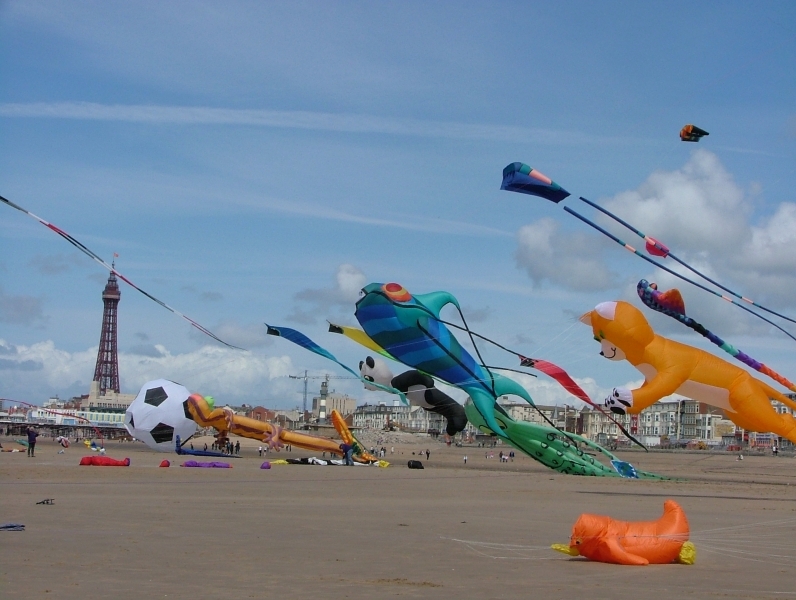 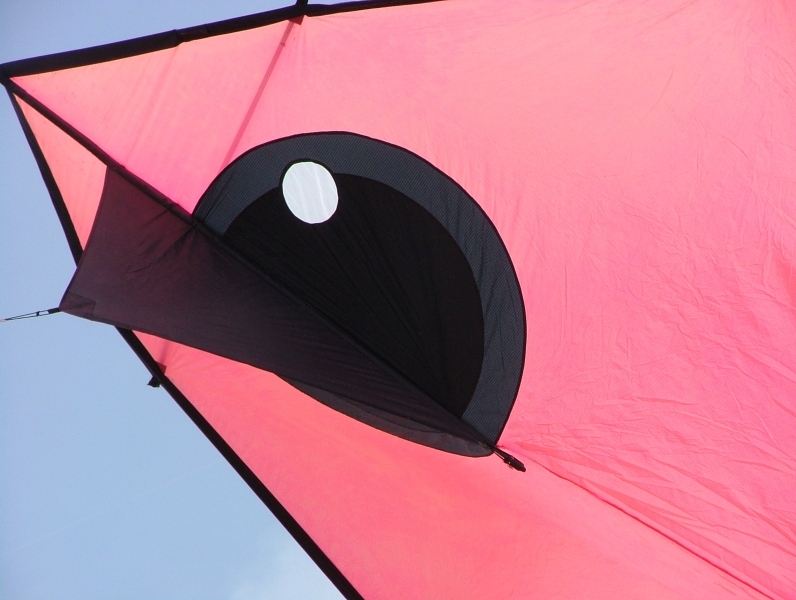 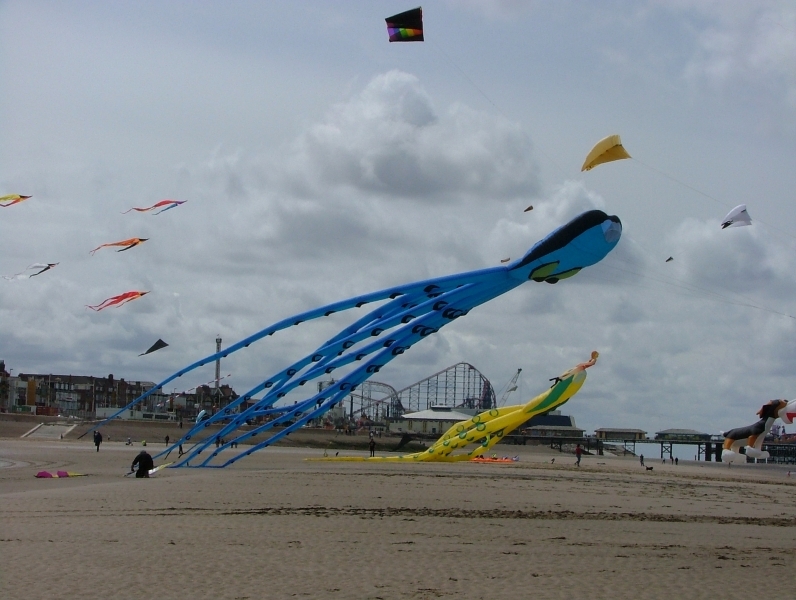 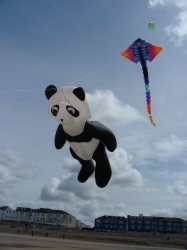 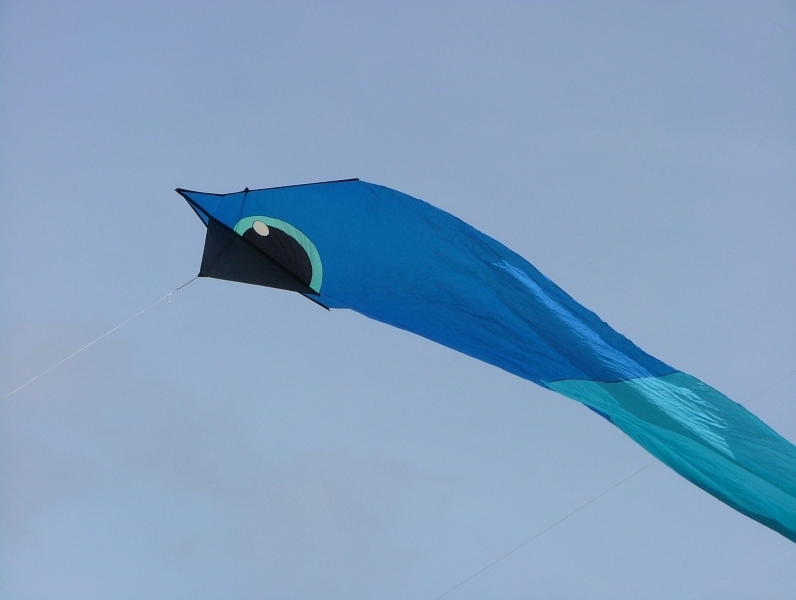 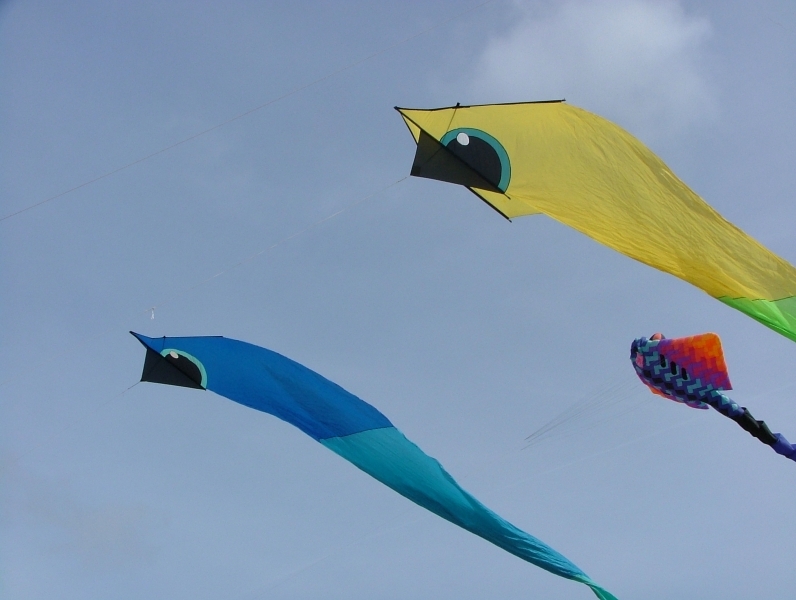 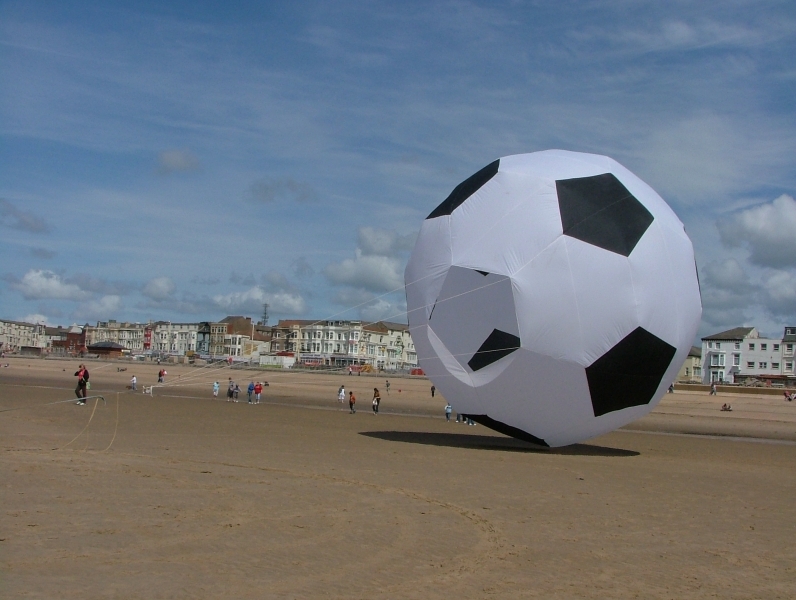 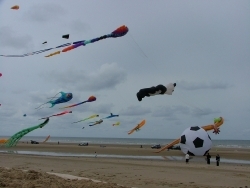 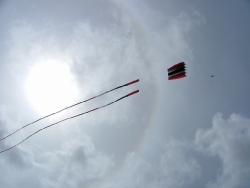 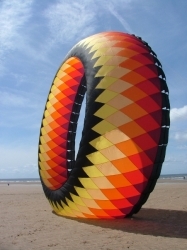 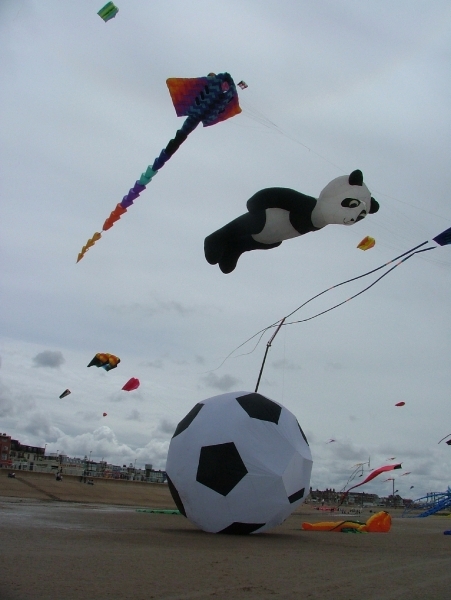 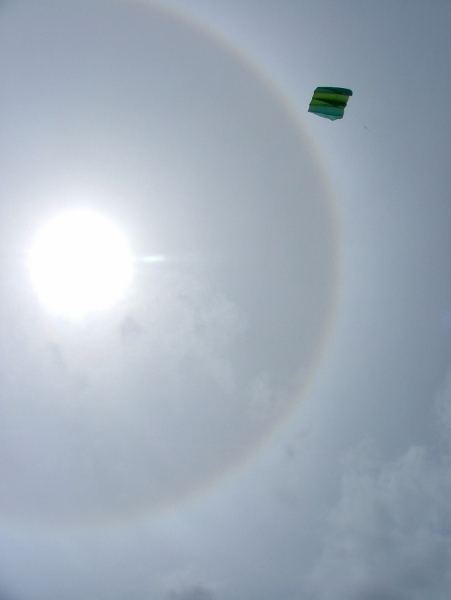 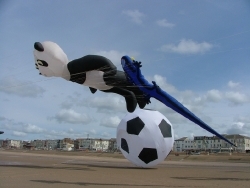 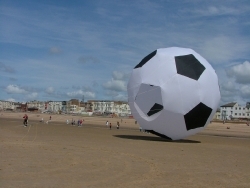 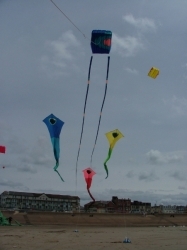 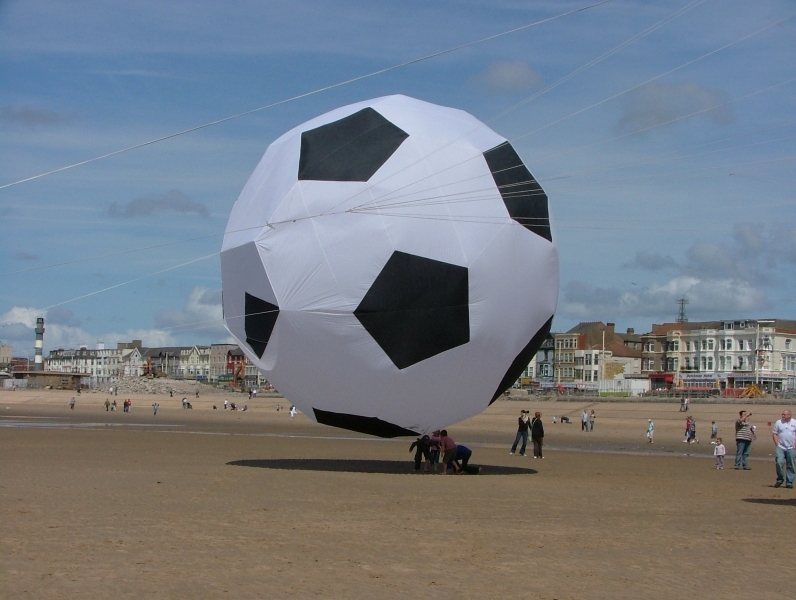 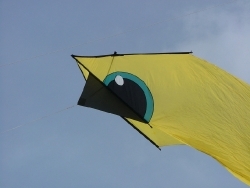 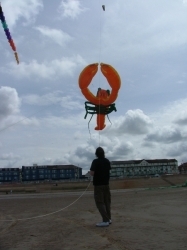 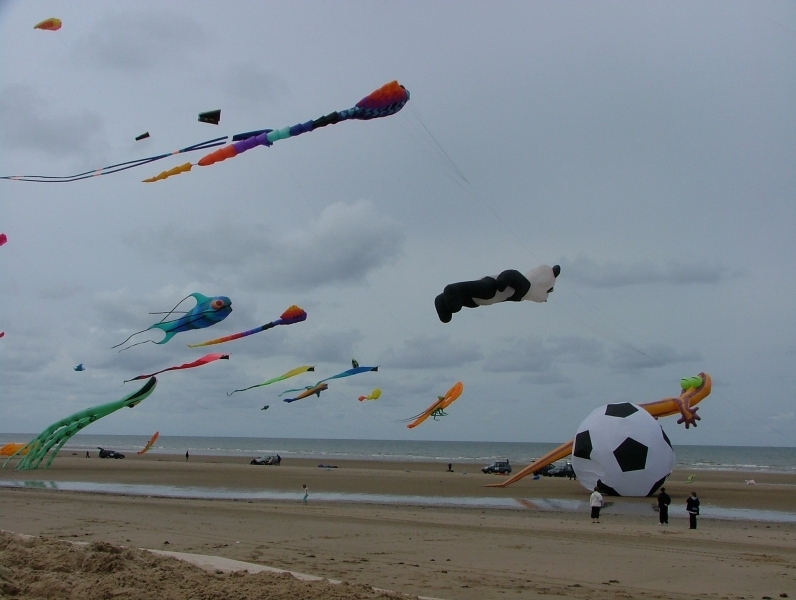 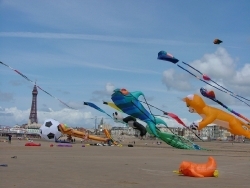 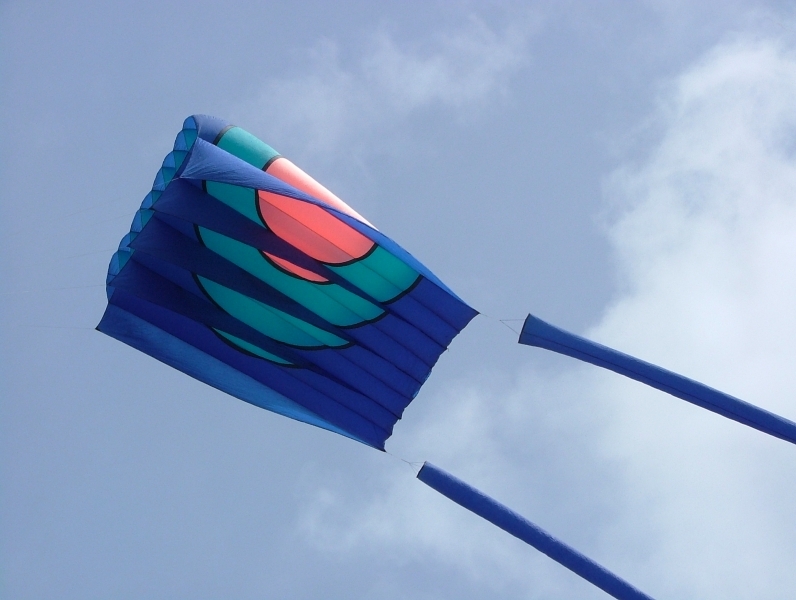 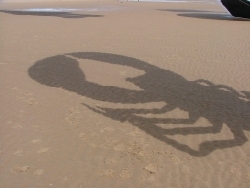 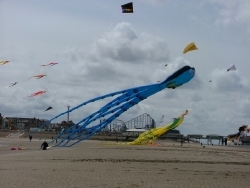 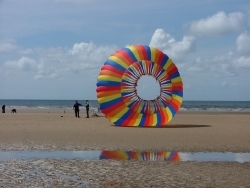 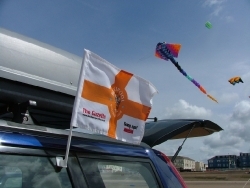 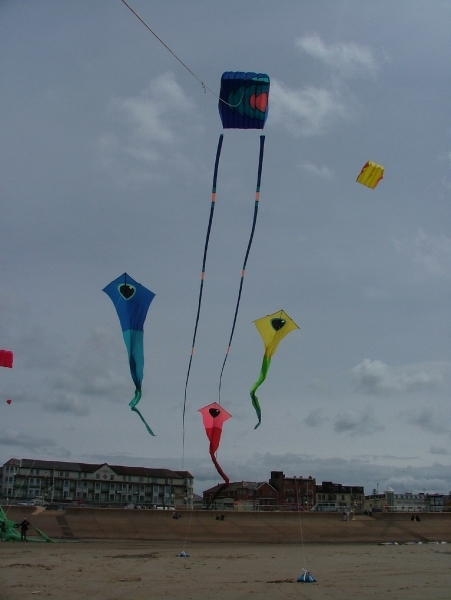 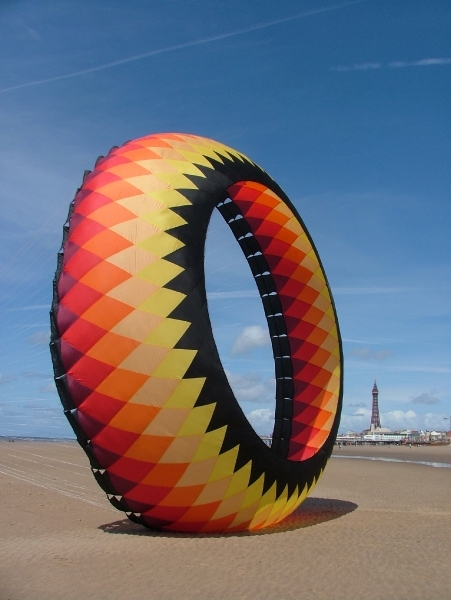 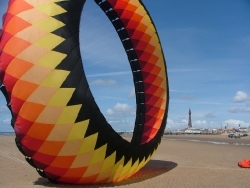 Blackpool Kite Festival took place on the beach between Central and South piers. 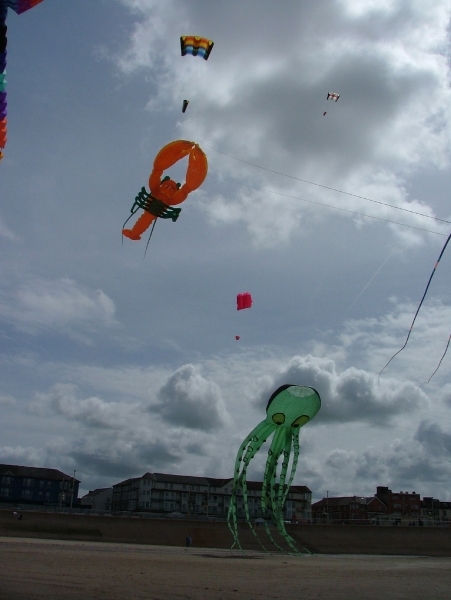 I would class it as more of a kite display than a festival and it had a number of invited fliers including Kite Collective, Wigsley Wings, Andrew Beattie and Sky Artists. It turned out to be a great weekend’s flying as a back drop to a three day set of events run by Blackpool Tourism. There’s not many people that can say they’ve flown kites to live acts such as Gareth Gates and Bucks Fizz. 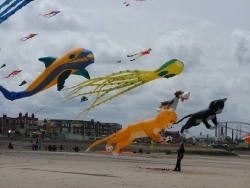 Elvis even put in an appearance (on stage not the beach).